Is traveling in Europe your passion? Are you retired on a fixed income looking for advice? 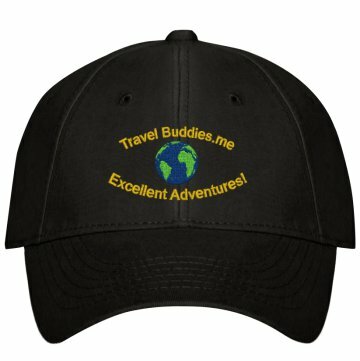 Then www.TravelBuddies.me can help! We are dedicated to sharing our experiences to enrich yours, to take some of the confusion out of the process. We want you to focus on having fun on your travels! Packing light and using digital tools throughout our adventures is our aim! We are not professional travel guides but we do have helpful tips to share. Subscribe to our blog...and let's get started! From UK to Calais through Belgium into Amsterdam! A 3:45 AM awake time had Claudia and I scrambling to meet the demands of our tour! This being the first full day with our tour group made for quiet an adventure! Expecting a full breakfast buffet, it was a slight disappointment to be greeted with a traditional European fare of coffee, juice, and rolls...a traditional continental breakfast and one we expect to experience through our adventure! We gathered with others and climbed aboard the tour bus at 4:45 AM for about an 1.5 hr ride south to Dover and the infamous White Cliffs. We made our way through port customs and onto a huge ferry for another hour and a half ride across the channel, enjoying a full English breakfast for 10 Pounds each, to Calais, France and on toward the east to Belgium. It is currently after 1 pm as we cross Belgium, past Brussels, Dunkirk, and Antwerp. The roadway we are traveling is on of the best well-lit in all of Europe. It is now 3:30 pm, 41 km from Amsterdam. More tomorrow. Stay tuned as pics and videos are developed! Ball Caps Branded with our Logo!